Can I see the nsfw pics? @DwayneTheCockJohnson, These are the nsfw pics. They’re very traditional. @th0t, especially the one where she was on the bike. Super dangerous. 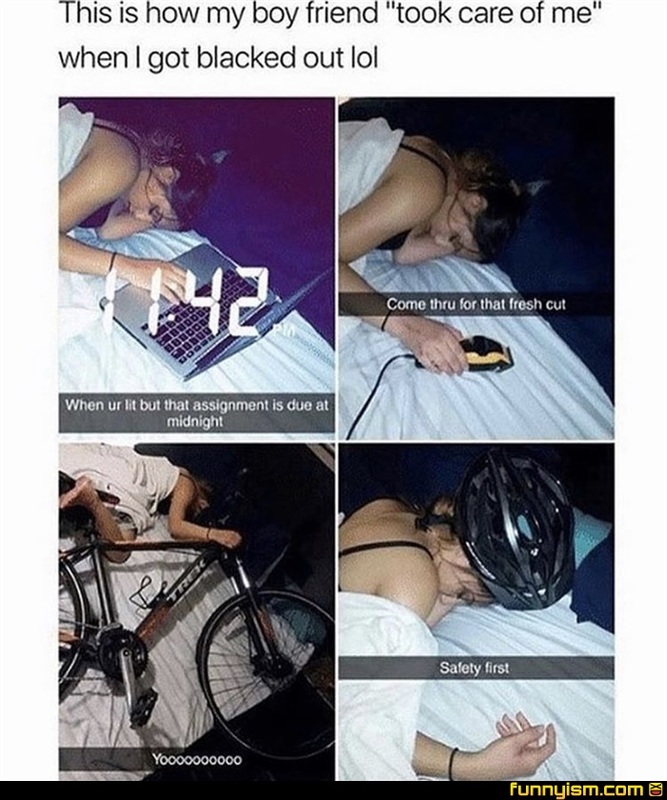 Great guy, doesn't care about your safety when you black out. @Light Skinned Brotha, i mean in his defense what can you do for someone when they’re asleep besides make sure they don’t puke all over themselves and get them some water. @Zerker Shark, True, my friend.